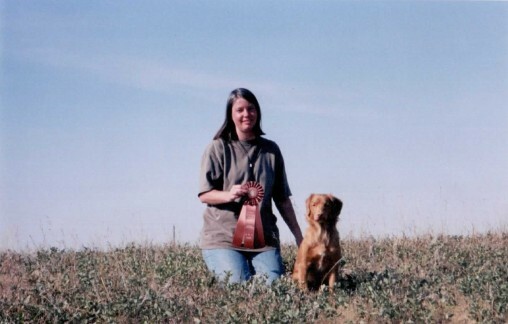 Our passion for the breed began in 1992 when Wilkie, CH Westerlea's Shelburne Wilkie AOM CDX WC joined the family. He was to be a family pet and a competition obedience dog. Little did we know that nearly 20 years later we would have bred Master Hunter, Best in Specialty Show, Best in Show, Obedience, Agility titled dogs as well as multiple Show Champions. We are committed to producing dogs that have the potential to succeed in any venue. Health, temperament, structure and working ability are all a priority with every breeding. We are located in Calgary, Alberta Canada. Contact Sheila Fee if you are interested in learning more about Tollers. 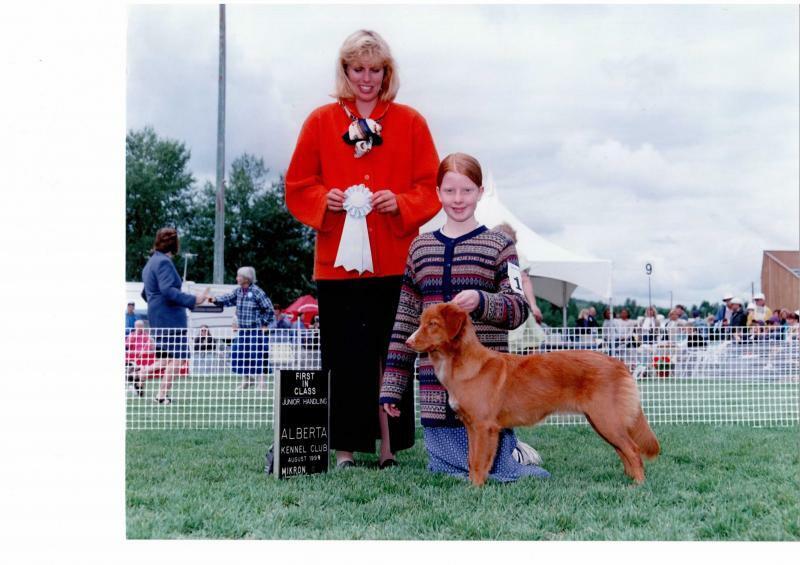 Our daughter competing in Juniors with her dog "Annie", CH Seabright's Pirate Queen CD in 1999. One of our foundation females "Pyxis", CH Foxgrove Set Sail For Ruaview CD WC posing with Sheila after earning her Working Certificate title.